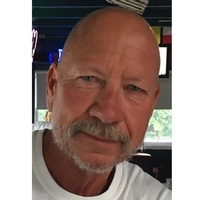 On November 23, 2018, Donald K. Adams, 61, of Bel Air, MD passed away at home surrounded by family and friends. He was the beloved husband of Eileen Adams; devoted father of Devin O’Neill (Kristin) and Brooke Adams; cherished grandfather of Molly O’Neill; dear brother of Thomas Adams and Cheryl Musser; daddy to special pups Carlie and Maya. Also survived by many devoted friends that have loved and supported Don and his family. Don’s passions included motorcycles, golfing, boating on the Chesapeake Bay, and enjoying life with his family and friends. Family and friends will honor Don’s life at Bel Air United Methodist Church- 21 Linwood Ave, Bel Air, MD 21014 on Wednesday, November 28th, receiving family and friends from 1-2PM with a Memorial Service beginning at 2PM. A wake will be held immediately following the service. Interment to be held privately. In lieu of flowers, memorial contributions in Don’s name may be made to the ARC Northern Chesapeake, 4513 Philadelphia Rd., Aberdeen, MD 21001. Memory tributes may be sent to the family at www.evansfuneralchapel.com.